San Juan County law enforcement officials say memos issued by the Department of Homeland Security about the enforcement of immigration laws will have little to no effect on their operations locally. But a statewide immigration rights group believes the memos could jeopardize the safety of undocumented immigrants, including families with mixed immigration statuses. The DHS issued two memos on Feb. 20 about enforcing immigration laws and policies, along with border security between the U.S. and Mexico. One memo expands a federal program for local or state law enforcement to enforce federal immigration laws. But the heads of local law enforcement agencies said the memos won’t impact their day-to-day operations. 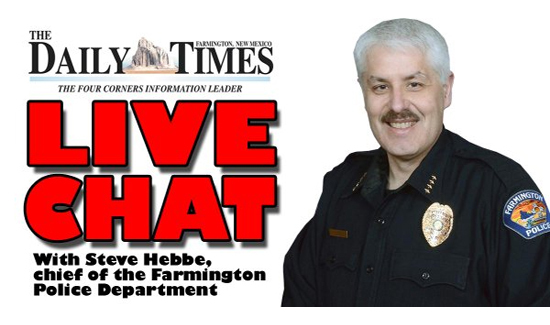 Farmington police Chief Steve Hebbe said the federal government has wanted police to build trust with their communities, and that is something Farmington police take seriously. “We’re not really enthusiastic for them to begin participating in anything that targets a certain group in our community,” Hebbe said. Hebbe, along with Bloomfield police Chief Randy Foster and San Juan County Sheriff’s Office Undersheriff Shane Ferrari, said their agencies help U.S. Immigration and Customs Enforcement personnel if they are searching in their jurisdictions for a suspect who might have an immigration detainer.